The importance of well-being is emphasised by the World Health Organization. Observational evidence suggests an association between higher subjective well-being and better physical health and longevity. This is especially true for cardiovascular and metabolic outcomes including cholesterol levels and extremes of body mass index (BMI). Subjective well-being is defined as a combination of life satisfaction and happiness. Depression, on the other hand, is associated with increasing risk of coronary artery disease, especially the chance of heart attack. There is also an association between depression and higher BMI. People value happiness highly so emphasis on the potential benefits of weight loss in improving well-being could be a motivator for weight reduction. This study aimed to investigate if the association between subjective well-being and cardiometabolic health is causal. Researchers found strong evidence that higher BMI causes lower self-esteem and the associated detrimental consequences for mental and physical health. This adds support to the need to prevent obesity. 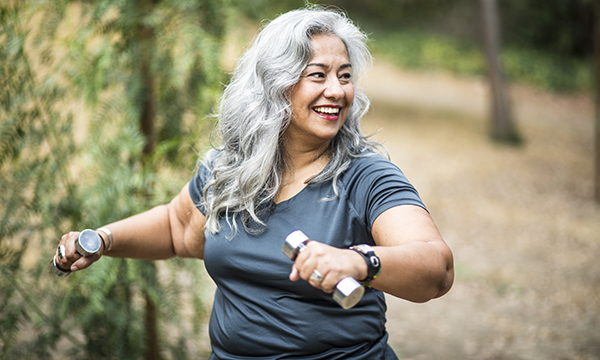 BMI could be an important determinant of health satisfaction in an older generation as the health implications of obesity, for example, heart disease, diabetes and cancer, begin to emerge. Improving the sense of well-being by losing weight might serve as a motivator for behavioural change. Despite knowing the physical health consequences of having a high BMI, obese individuals often struggle to maintain diets. Wootton R, Lawn R, Millard L et al (2018) Evaluation of the causal effects between subjective wellbeing and cardiometabolic health: mendelian randomisation study. BMJ. 362:k3788.